May buy any quantity. Online registration required. Must register by May 25th. Valid through: May 25, 2014. See the terms that apply to all deals. 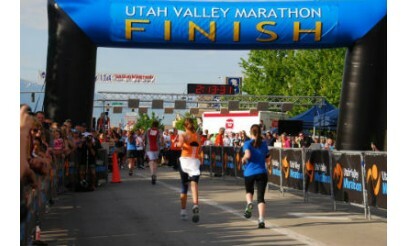 Utah Valley Marathon's 10K race starts on Saturday, June 14 at 7 am. Racers will start in front of Canyon Crest Elementary in Provo and finish in front of the Utah County Courthouse (intersection of University Avenue and Center Street in Provo). 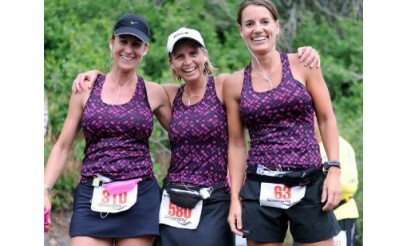 There will be aid stations, awards to the top 3 men and women, and awards to the top 3 in each age division. Click here for more information. When you register, select "10K" as your "Entry Type"
On the checkout screen, enter your voucher code into the "Promo Code" field and click "Validate"
Finish checkout, click "Register" and you're done! 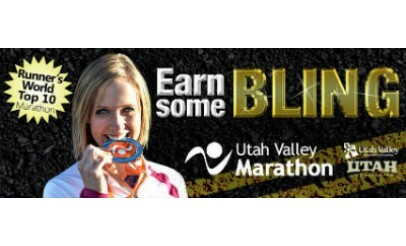 This Utah 10K has a gentle downhill race course for all ability levels. The route follows the last miles of the marathon. The downhill route is great for beginners. 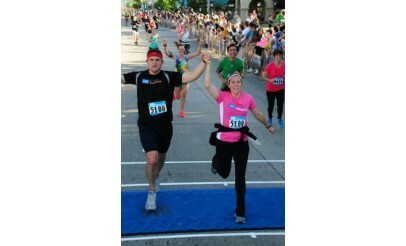 As you run into the last stretch, thousands of spectators will cheer you on to the finish.